Step into one of Nora’s most beautiful wooden houses, the crown jewel of the town’s fantastic town centre. Göthlinska Manor, a bourgeois home dating back to 1793, has been preserved exactly as it looked when the last member of the Göthlin family lived here. Affluent and beautiful but not garish. Wander through the rooms, and you will get some good insight into how life might have seemed for the more affluent residents in the town of Nora in the good old days. 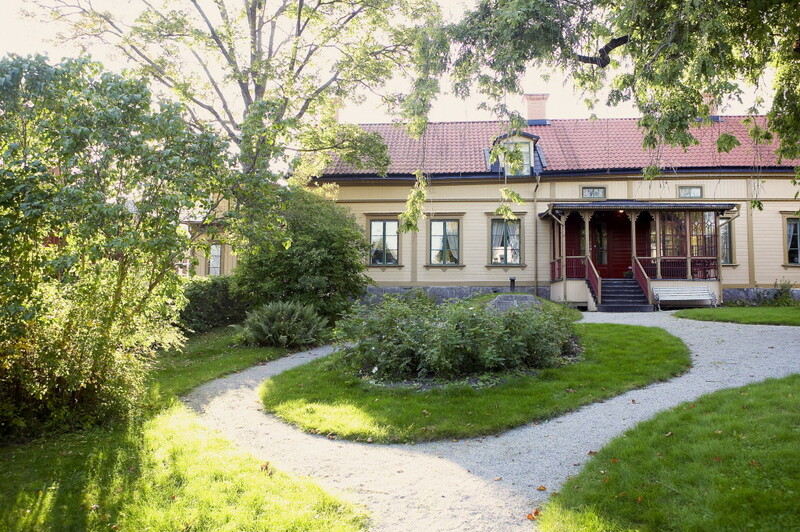 Today Göthlinska Manor, located right next to the square, is a museum with art, photographs, furniture, toys, painted porcelain and decorative objects. The beautiful garden offers the best lake view in Nora, and the Selma G café in the sjöstugan cottage is worth a visit in itself.